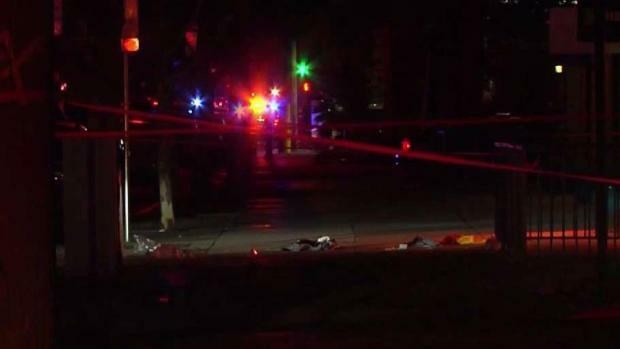 Two off-duty Oakland firefighters were shot, one fatally, in San Jose's Japantown on Thursday night, and a 27-year-old man has been arrested in connection with the crime, police say. Both men each sustained a single gunshot wound around 9:30 p.m. near 8th and Taylor streets, near Gordon Biersch Brewery, according to police. The person accused of shooting the pair was identified by police as Oliver Juinio of San Jose. Soon after the shooting, rookie firefighter Jake Walter, 30, was pronounced dead at a hospital. The second firefighter, 26, sustained non-life threatening injuries and is said to be in stable condition, Interim fire Chief Darin White said. The victims were recent graduates of the Oakland Fire Department Academy. They were part of class 216 and had joined the fire service in April, he said. "The result of this tragedy has left a somber cloud over the Oakland Fire Department and its members and (the) family members of those who were both injured and now deceased," White said at a news conference. "We grieve for our lost colleague and we wish for a speedy recovery for the individual that’s injured right now." Two off-duty Oakland firefighters were shot, one fatally, in San Jose's Japantown on Thursday night, and one person has been detained in connection with the crime, sources say. Damian Trujillo reports. Five off-duty firefighters attended the Taylor Street Night Market, which San Jose police described as a safe, family-friendly event. As they left, they were confronted by a group of men. It is unclear whether words were exchanged or what circumstances led up to the two gunshots that were fired, police said. Residents in the area reported seeing someone running through their neighborhood, leading police to someone who was apprehended. It remains unclear whether that was Juinio. Police spokesman Albert Morales said that investigators were canvassing the neighborhood, talking to witnesses, pouring over surveillance footage and combing through evidenced. Morales didn't know if the suspected shooter had attended the event or "just happened to be in the area." A motive is also unknown, he said. "This seems to be a random senseless act of violence," said Lisa Gannon with the San Jose Police Department. 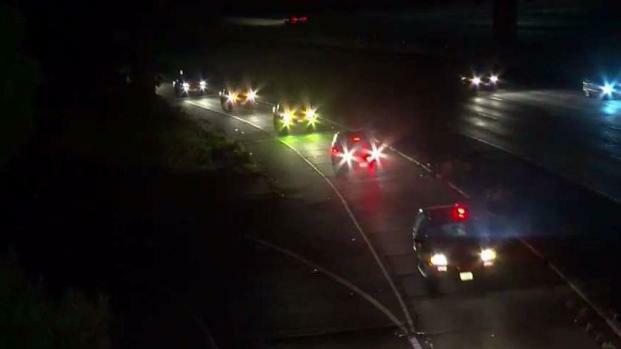 Law enforcement officers from several Bay Area agencies on Friday escorted an Oakland firefighter who was shot dead in San Jose to Santa Clara Valley Medical Center. Another firefghter was injured and is being treated at the hospital. Marcelino Quiroz and his band, Mango Kingz, performed at Taylor Street Night Market Thursday night. They were tearing down gear when a vendor told them about the shooting. "It was pretty shocking," Quiroz said. "I saw two people laying down on the ground next to my car and there was a number of people around them. And then emergency personnel showed up pretty soon after that." Joe Tershay, who was also at the market, described the event's atmosphere as "super mellow" with families and children present. "It was totally surprising" because there were "no signs of altercations," he said. "The loss of life is always senseless." 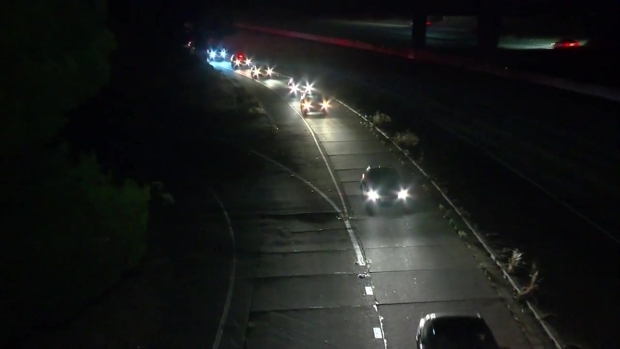 Overnight, a procession of law enforcement officers from several Bay Area agencies escorted the fallen firefighter to Santa Clara Valley Medical Center, where they stayed all night. Many left the South Bay hospital early Friday morning because they had to report to duty at 8 a.m., Deputy Fire Chief Melinda Drayton said. "Our thoughts and our prayers go out to the families, the friends, the loves one, our internal fire department family and those who were close to firefighter Jake Walter," White said. Oakland Law Enforcement Officers gather at Santa Clara Valley Medical Center to honor fallen firefighter. Kris Sanchez reports. Earlier in the day, Oakland Firefighters IAFF Local 55 tweeted a confirmation of the "unprovoked incident" with a "heavy heart." Union officials said that other firefighters who were with the two who got shot "rendered aid to their fallen brothers on scene." They too expressed a "heartfelt thank you" to San Jose police and fire officials for "their help with this tragedy." White too thanked the other firefighters for offering their peers the best possible medical aid they could on scene, given the circumstances. On behalf of himself and the Oakland Fire Department, White also thanked San Jose police and fire officials, mayors Sam Liccardo and Libby Schaaf, and the Oakland City Council for their outpouring of support. Fire officials pay close attention to the safety of their crews when fighting blazes, but Walter's untimely death had caught them "completely off guard," White said. "We don’t really think about the hazards or the chance encounters that you might have off-duty that could also” have tragic results, he said.